July proved to be a promising month for prospective 2015 F-150 buyers. First, they learned the specs of the new additions to the pickup’s powertrain lineup. Then, they learned about the available models and just how much they can expect to pay for them. 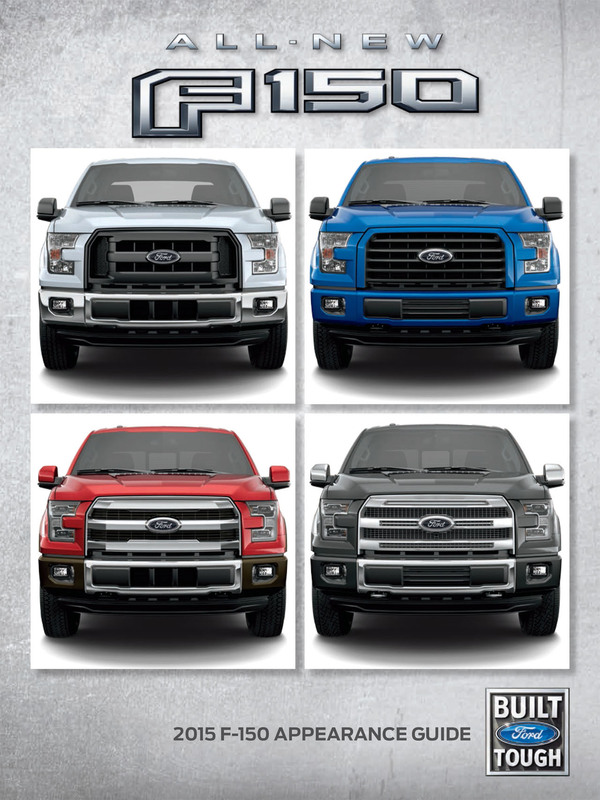 Finally, they got their first glimpse at various unique faces of those models with the 2015 F-150 Appearance Guide. 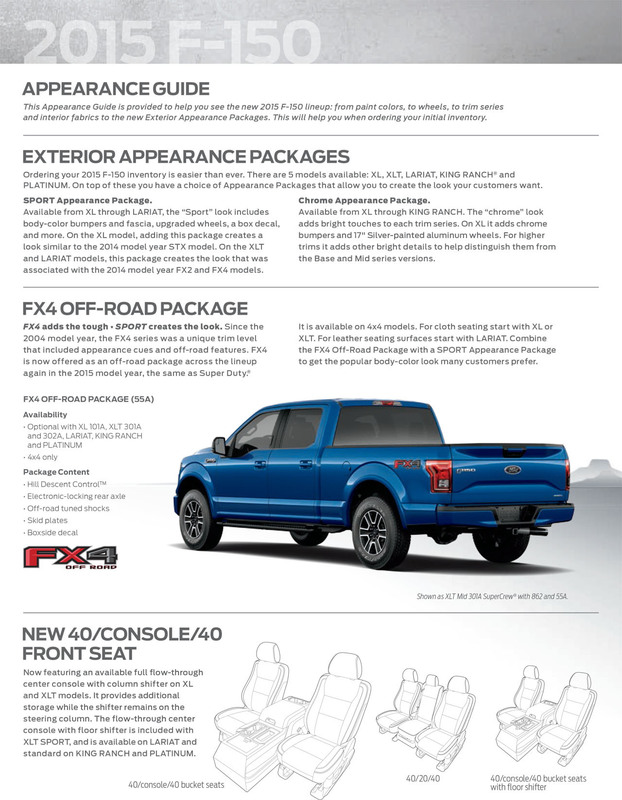 The 2015 F-150 Appearance Guide breaks down available exterior appearance packages and equipment groups while revealing four new colors and at least four distinct faces. 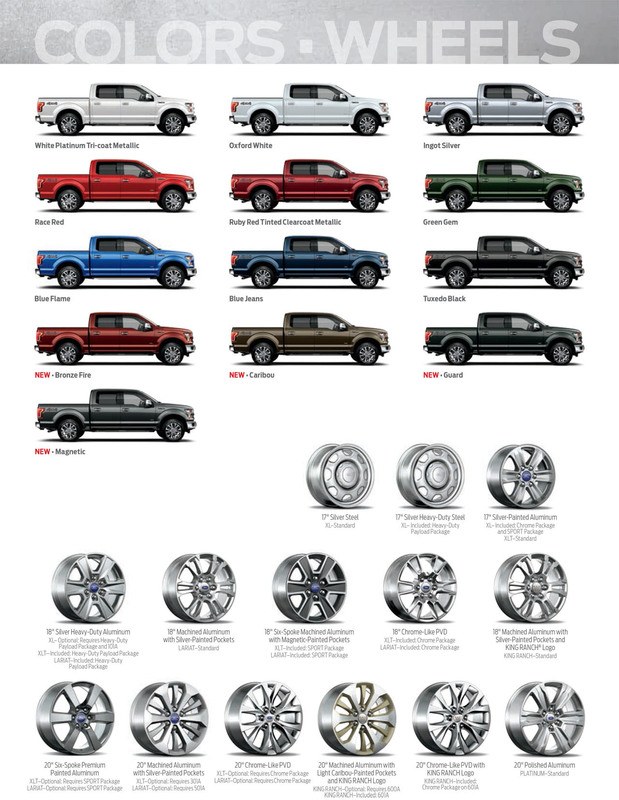 The new F-150 can be equipped with one of fifteen different kind of wheels and two different appearance packages: the SPORT Appearance Package (available for XL, XLT, and Lariat) and Chrome Appearance Package (available for XL, XLT, Lariat, and King Ranch). The Fx4 Off-Road Package—which includes Hill Descent Control, skid plates, and off-road tuned shocks—returns for 4×4 models. There are so many different permutations that it’s unlikely that the 2015 F-150 you buy will be exactly like anyone else’s. 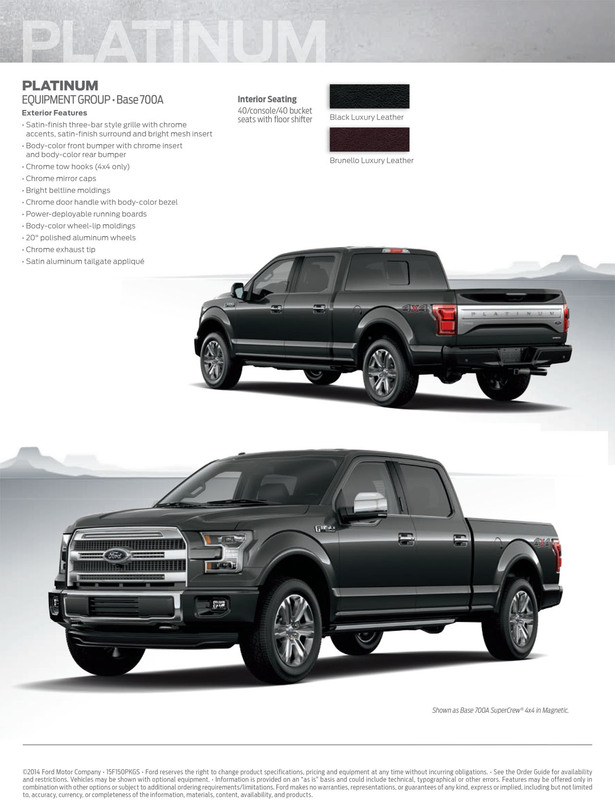 For our money, though, the Lariat Sport 4×4 in Tuxedo Black looks mighty handsome. The Platinum looks fancy, indeed, but something about the word “PLATINUM” written across the tailgate reminds us just a bit too much of those stupid JUICY-butted sweatpants. Nobody likes JUICY-butted sweatpants.